For the seventh consecutive year, leading health and hygiene brand, Safeguard, is partnering with Ministries of Health and Education around the world to capitalize on Global Handwashing Day, October 15, as the perfect opportunity to educate and inspire kids to wash their hands. Almost a decade has passed since published research identified hand washing with soap as 'the most important medical remedy for children in developing countries' and today this finding is more pertinent than ever. That's why teaching children how to eradicate disease-causing germs through proper hand washing is a key component of Safeguard's mission to help people protect the health and development of loved ones. A proud partner of the Global PPPHW (Public-Private Partnership for Hand Washing), Safeguard has always been a prominent supporter of Global Handwashing Day, donating $140,000 since its inception in 2008. Each year the brand employs a comprehensive communications campaign encompassing media relations, social engagement, consumer events, celebrity endorsements, and government and NGO partnerships. "Handwashing with soap is among the most effective and inexpensive ways to save lives by preventing the spread of disease-causing germs," says Janet Allgaier, Vice-President P&G Global Personal Care, "and Safeguard is committed to Global Handwashing Day as a key strategy for instilling this positive habit in children all over the world." In Mexico, a short film will be released on social media, featuring the Safeguard Clean Hand Shake - a fun take on the global 'secret handshake' craze so often referenced in pop culture. The film ends with a call-to-action to 'Share the love. Not the germs' by practicing the handshake with friends and family - after washing their hands, of course! In China, Safeguard is partnering with the Ministry of Health and key retail partners to help reinforce the 'Around The Clock' message. Additionally, a partnership with the charity One Foundation will supply Safeguard liquid hand soap to hand washing stations set up following the 6.1 earthquake that struck South-West China's Yunan province in August. 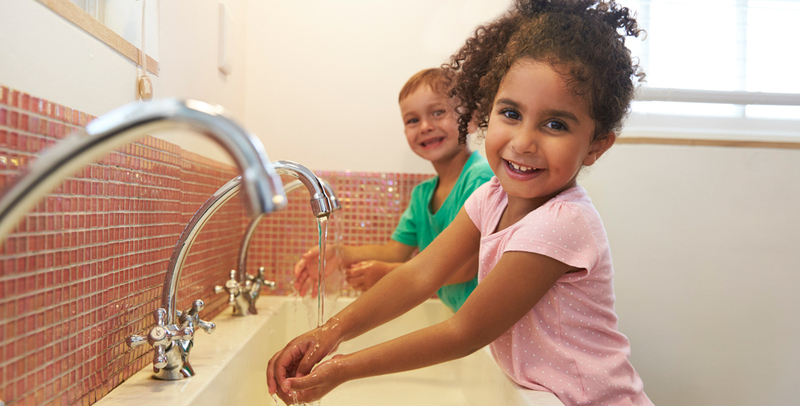 On October 15th, protect yourself and your loved ones by helping Safeguard promote proper hand washing Around The Clock. Share the love. Not the germs!